The appeal of a powerful motif is elevated to a whole new level when it is adorned with the purity of lab grown diamonds, as seen in this splendid ring. It features an artistically crafted infinity knot, a symbol of everlasting love, partially embellished with brilliant lab grown diamonds. The 14k white gold metal envelops this ring with its distinct sophistication and uplifts its beauty. 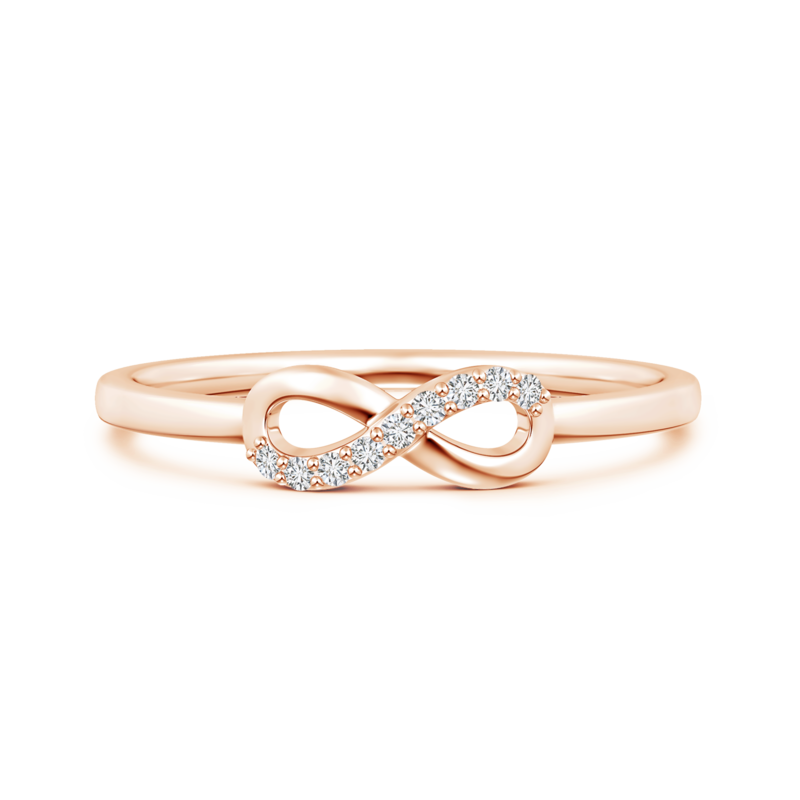 This infinity loop ring is a wonderful way to display your belief in permanence and completeness. An extremely popular jewelry trend, the infinity style is symbolic of permanence and completeness. This symbol is actually known as the Lemniscate, which means ribbon and was first introduced in the 17th century by an English mathematician named John Wallis. It represents the idea of infinity-a sum that is larger than any number that can ever be created. It is extensively used on jewelry designs to evoke the passion of never ending love. Infinity style jewelry, such as this product is a great way to show someone how special they are to you.